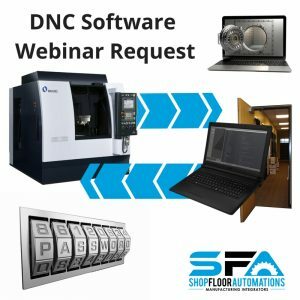 Here is where you can request to take part in a future webinar on DNC software solutions. Scroll all the way down to sign up for a webinar, or read further to learn a little more about DNC software. What is DNC Software? Aiding in the process of Direct Numeric Control (sometimes considered Distributed Numeric Control), DNC software helps with total shop floor control.